Primetime BBC newsreader Fiona Bruce turns 50 next year, and has revealed the extent of the pressure she feels to stay looking young. Whilst the 62-year-old Newsnight presenter Jeremy Paxman still yields millions of pounds annually, and looks to remain firmly within the public eye for years to come, it can be a different story for women, particularly as soon as the grey hairs start creeping in. 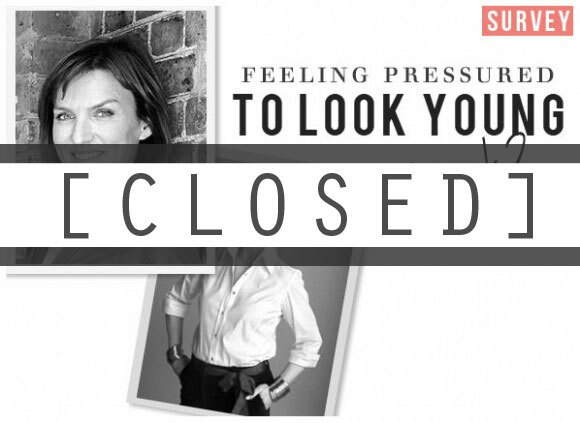 We want to find out if you too have felt such pressures in the workplace, and what moves you have made to keep those wrinkles and greys at bay. Survey now closed- thanks for your entries! Only one entry per person (based on IP address) will be counted. Automated entries will be disqualified from the prize draw. Entries will close at 9am on the Friday 28th September, and prize winners will be notified the following day. One winner will be picked at random. Escentual reserves the right to withdraw any nominations or votes if they feel they are abusing the competition or any of its rules. General Terms & Conditions apply. By entering this survey you are authorising Escentual to sign you up for their email newsletter. Your email address will not be shared with any other companies or 3rd parties. This entry was posted on Monday, September 24th, 2012 at 8:30 am and is filed under Competitions, Survey. You can follow any responses to this entry through the RSS 2.0 feed. You can skip to the end and leave a response. Pinging is currently not allowed.